The IRS Offer in Compromise might allow you to wipe your tax slate clean at a substantial discount. If you qualify, the IRS has been known to accept as little as 1% of the amount owed and give you a fresh start. For the lucky few with a great story, the IRS Offer in Compromise is a once in a lifetime opportunity. Though, a successful IRS Offer in Compromise is a rare bird indeed… like the Dodo bird or the California condor. While the internet hypes this “pennies on the dollar” opportunity, the truth is that only 25% of those Offers which are processable are accepted. In other words, a substantial number of IRS Offers in Compromise are rejected out of hand as unreasonable. Of those that get past the gatekeeper, only 25% are accepted. But, daytime television and the internet are filled with companies pitching the IRS Offer in Compromise. Many of these firms are lead generators – they take down your information and sell it to a tax debt relief firm for up to $300 per lead. Others use the OIC program to grab your attention and then direct you into a program you actually qualify for, such as an installment agreement. 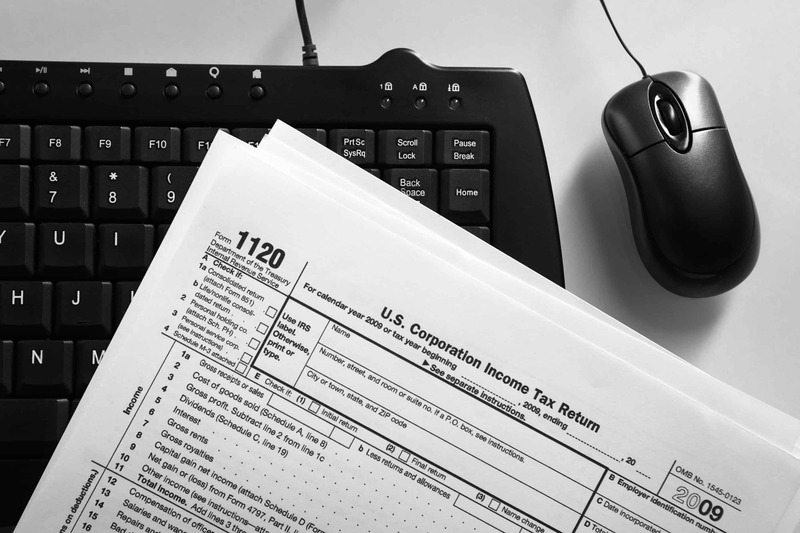 There have been a number of national IRS Offer in Compromise mills that took many thousands of dollars from unsuspecting clients and failed to deliver. If you would like to read some of this dark history, Google Taxmasters, Ronie Lynn Deutch and IRS Offer in Compromise scam. There are hundreds of examples out there. Now that the scammers and marketing hype are out of the way, let’s talk about the IRS Offer in Compromise program. Simply wanting to settle your tax debt is not sufficient to get your OIC approved. You must have a good story and be unable to pay the debt in full. This means you don’t have assets that can be sold nor do you have income after allowed expenses that can be taken. In IRS parlance, in order to qualify for an IRS OIC, you must prove that 1) there is some doubt as to whether the IRS can collect the tax bill from you – now or in the foreseeable future (called doubt as to collectability), or 2) due to exceptional circumstances, requiring you to pay in full would cause an unreasonable economic hardship or would be unfair. I have practiced tax law for over a decade and have never seen or heard of and IRS OIC being approved out of a sense of fairness, so let’s move on to doubt as to collectability. In order to request an IRS Offer in Compromise based on doubt as to collectability, you submit IRS Forms 656, 433-A and 433-B (if applicable) and must prove to the satisfaction of the Service that your income and assets are such that you will never be able to pay the debt in full, now or in the future. This implies that you must convince them that your financial situation will not improve. When you file your IRS OIC, you must usually include a user fee of $150 and a good faith deposit of 20% of the Offer amount. So, if you are offering to settle your tax debt of $200,000 for $20,000, you must include a good faith payment of $4,000, which is to say, you must send in $4,150 with the IRS OIC in order to have it considered. Now, you might be thinking that you can offer $1,000 to minimize the “risk” and then up the Offer later. Remember that your OIC must get through the first level of review or the gatekeeper before you can negotiate with anyone. Therefore, your initial IRS Offer in Compromise amount must be reasonable… it can be on the low end, but it must be processable. For information on how to qualify the minimum offer, see www.irs.treasury.gov/oic_pre_qualifier to determine whether you are eligible to make an IRS OIC. When planning for an IRS OIC, the most important component is your financial statement on Form 433-A. If you can structure your allowed expenses and income, you may qualify. If you don’t plan months, or even years, in advance, you have no shot. You need to get your expenses in line with the allowed standards, which is the amount the IRS will allow you to live on, with any excess going to Uncle Sam, and pay any expenses you wish to handle before filing the IRS OIC. For example, you might want to purchase a car, or move to a less expensive apartment, pay off your creditors and any family members you have borrowed money from, and reduce any other questionable expenses. It can take many months to position yourself for a solid IRS OIC, so much planning should go into dealing with your tax debt. Once you enter the OIC process, the IRS won’t allow you to pay your credit card bills. These are unsecured debts and take a back seat to the mighty IRS. Therefore, unless you want to destroy your credit, you should take care of your cards before contacting the IRS. Having filed hundreds of OICs over the years, some of them successful and some of them not so much, I believe the value an expert brings is in preparing and planning the 433-A. This form requires a great deal of experience and knowledge and is the foundation of the IRS Offer in Compromise process. Once it is filed, you can’t change it and are locked into whatever you told them. Even if you re-file a new OIC, the IRS will use your first 433-A against you. There are a few drawbacks of the IRS Offer in Compromise program. Chief among them is that it puts your 10 year collection statute on hold for months or years while the OIC is being considered. The IRS has 10 years to collect from you after you file your returns or an audit is completed. After the 10 years is up, the debt is usually wiped out. If you are closing in on this 10 year statute, filing an OIC can put you in a worse situation and keeps the clock from running out on the Service. Also, during the IRS OIC process, you will provide the government a road map to your income, assets, and everything it needs to take what is yours. If your OIC is rejected, your ability to protect yourself from the great collector is limited. Finally, note that interest continues to accrue on the tax debt while the IRS OIC is being considered. You might find your tax debt much higher after an OIC is rejected. Considering that 75% of the IRS OICs that are processable are rejected, you should think long and hard before filing and IRS Offer in Compromise.